When Matt and Jeff Hardy went their separate ways in 2002, the pair became drastically different people. 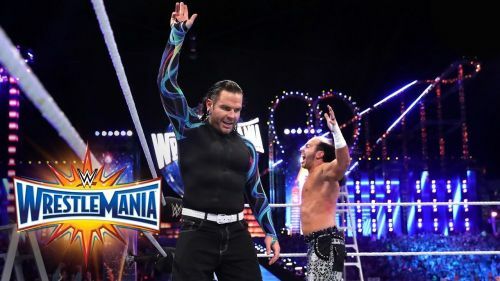 Matt left for SmackDown, starting his amazing and underrated 'Mattitude' gimmick, whilst Jeff remained on RAW, receiving a brief push against then WWE Undisputed Champion, The Undertaker. But despite the pair's massive differences, Matt and Jeff are actually brothers, growing up together with their father in Raleigh, North Carolina. Like most siblings who grew up watching wrestling, the pair often imitated the moves of their heroes at home, turning their trampoline into a makeshift ring. Later in life, Matt and Jeff even founded their own promotion, OMEGA, which they worked in alongside fellow WWE alumni, including Shannon Moore and Shane 'Hurricane' Helms. In 2017, the pair returned to WWE, capturing the RAW Tag Team Championships at WrestleMania 33, proving that blood is indeed thicker than water, or in their case, ladders.